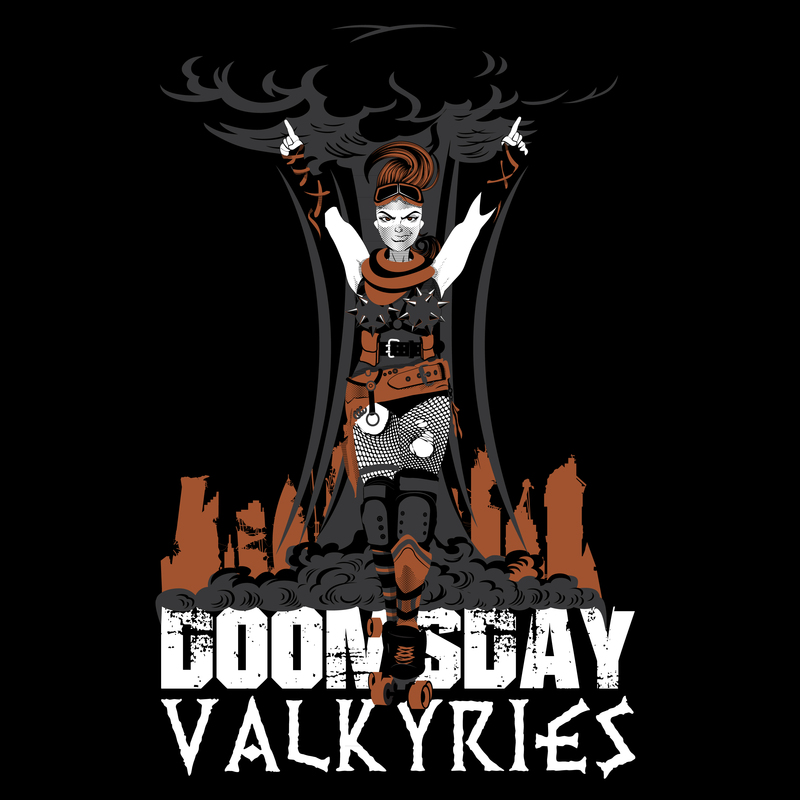 The latest addition to the AZDD team lineup, the Doomsday Valkyries! They are the Mad Max themed team with A LOT of Tina Turner attitude! Completely custom illustration, built as a three color vector for use in shirt design, signage, and sub-brand for the Arizona Derby Dames League.